There is nothing like a Sunday at the Masters. Golf, folks, golf. I am talking about golf. 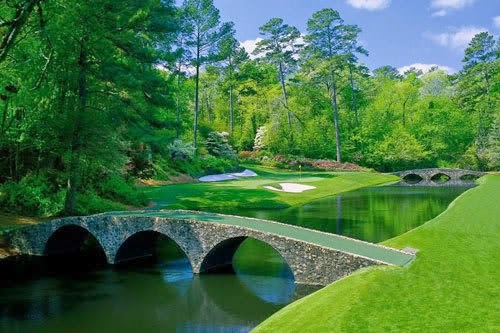 The Masters is a tournament played in Augusta, Georgia and is the first major championship of the golf season. Augusta is one of the if not the most elite golf course in the country. It is arguably one most beautiful and historic courses in the world. For decades the tournament is made or lost on this final day. Great golfers have won and lost on this, the final day in this tumultuous tournament. This tournament has given us the likes of Jack Nicklaus, Gary Player, Arnold Palmer, Ben Hogan, Sam Sneed and way to many more to go on. For years there has been a tradition of honorary tournament openers. This year was Player, Palmer and Nicklaus. The International Olympic Committee decided to add golf to the agenda for the summer Olympics in 2016. I laugh. No matter if you become Olympic champion or not, the most coveted prize in all of the sport is the Green Jacket. The Green Jacket is only given once a year to the sole winner of the Masters. (stupid idea on the IOC's part if you ask me) Several players have won multiple times and theoretically multiple jackets, but in total only 49 have been awarded. This year is nothing different. Stories and legends are made on this day. Today the two highest golfers on the leader board are Bubba Watson and 20-year-old Jordan Spieth. I love me some Bubba but if Jordan wins, he takes a title from Tiger Woods for the youngest player to ever win the Masters. I am really, really happy about that idea. There are many others who were in contention including 54 year old Fred Couples. This year was kind of strange in that so may big names did not make it through the cut Friday and into weekend play. Birdies and Bogeys followed both of the leaders and many others were making a run on the leader board. As Bubba began to Birdie, Jordan began to Bogey. I am sad for the new kid but I love me some Bubba. Many climbed and some fell. 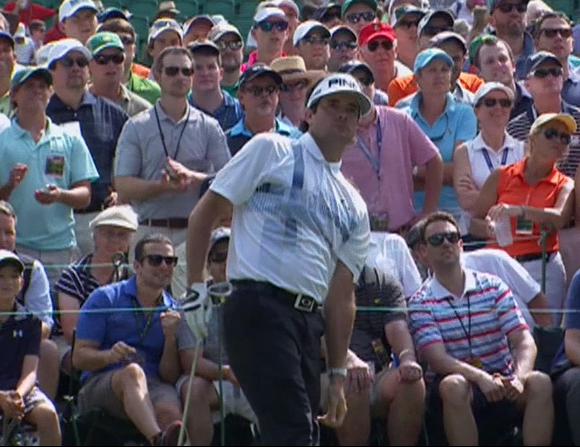 This is an average Sunday at the Masters. Congrats to all who played, you are all winners. For all of my life I have had this impression of golfers to be that of stuffy old guys. No matter if they were in their 20's they seemed old. Then came Rickie Fowler, Bubba Watson, Ben Crane and Hunter Mahan~ The Golf Boys. The Boys are awesome. They are a younger generation breaking all of the norms I think of about golfers. 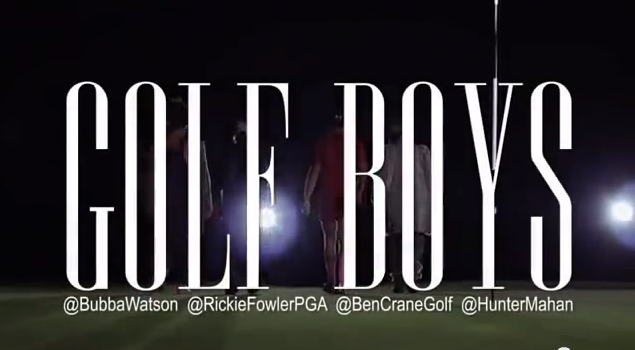 The Golf Boys are all professional golfers and they have made two music videos. I like the second more than the first.